It is safe to say that every book publisher wants a healthy Barnes & Noble. I asked the CEO of one large publisher recently whether the touted recent growth of independent bookstores was making up for the loss a few years ago of Borders. The response was “not even close”. Less dramatic than all the Borders stores going out at one time is that B&N must logically be reducing its shelf space for books, since some stores — though not many — are closing and the presence of toys and games is growing in those that remain. In some ways, changes in the merchandise mix makes sense. Borders and B&N were, for quite some time, in a competition to provide the greatest possible in-store selection. With Borders out and most indies a fraction of the size of superstores, B&N can have the biggest selection available to most consumers with fewer titles in stock than they had before. (They do not publish any data that shows makes it explicit that there is a reduced title selection. One can only intuit that from the fact that other products have a growing presence and that some publishers report anecdotally that midlist is harder to place in the stores.) In any case, since the slowest-selling books are really barely selling at all, it would make sense that replacing them with other products could add to the store’s margins. If B&N is successfully weeding only the slowest selling books, they should be removing titles that are turning so slowly that, after the initial hit of taking the returns, the publishers’ revenue line shouldn’t be too seriously affected. But the overall store experience is definitely diminished. When big store selections were being built up in the 1990s, it was widely believed — or understood — that the books that didn’t sell brought people into the store to buy the books that did sell. And some book categories have so few strong sellers that eliminating the slower-turn books means you don’t have much of a section at all. And all this ultimately drives sales online and that usually means to Amazon. (I did a calculation several years ago that suggested that Amazon had picked up several times the amount of once-was-Borders business that B&N did. It was Bowker data that I based it on.) It could well be the case that Barnes & Noble has held close to the same market share over the past few years, but they were the logical inheritors of the Borders brick-and-mortar business, and that is not what happened. One thing that distinguishes Cultura is the success of their in-store events, which are frequent (thousands per year) and take place in theater-like spaces within their stores. When I asked Herz whether Cultura drove dot com customers to store events he told me they do, and have done so “from the beginning”. Cultura’s management sees the integration of their stores and their dot com presence as an important competitive tool, becoming increasingly important as Amazon makes inroads into the Brazilian market. That should be B&N’s secret sauce as well: delivering an integrated branded experience, with customer loyalty payoffs that encourage book readers to stick with B&N for both in-store and online purchasing of print and their branded ebooks, applying whichever would work best for them for each book they purchase. And while they do not appear to use their email lists on behalf of store events, B&N does enable online purchase for in-store pickup. The offer to do that appears on book product pages; it isn’t particularly featured. You can also buy in a store for dispatched delivery as if bought online. But there is almost no promotion of that capability either. I would guess that if you asked loyal B&N customers, many wouldn’t even be aware those choices exist. And if you are not a B&N customer, you certainly would have no idea. Promotion of those capabilities to former Borders customers (which would have been a highly targetable group when the Borders demise was still fresh) might have enabled B&N to do better at picking up their business instead of having the lion’s share of them apparently go to Amazon. In fact, long before NOOK, Barnes & Noble tried to be in the ebook business. At the turn of the present century, they had such ambition in the ebook space that they built a capability that was later spun out to be a company called Publishing Dimensions (now owned by Jouve) to help publishers with the digital conversion from print books to ebooks. But in the early part of the last decade, the ebook business wasn’t ready yet. There were three formats: PDFs (we all know about them), Microsoft Reader, and Palm Digital. Most ebooks were read on Palm, but Palm’s strategy was to sell the content themselves rather than let retailers do it. Mobi was invented as a solution to the formats problem, to be one that could serve both MS Reader and Palm. By the time Mobi was created, B&N had expended a lot of cash and effort on an ebook market that didn’t materialize. They never took the next step of using Mobi. Amazon, bought Mobi in 2005 and effectively buried it for a while, only to bring it a couple of years later as the format that ran on the Kindle. The ebook decisions B&N made were not crazy. 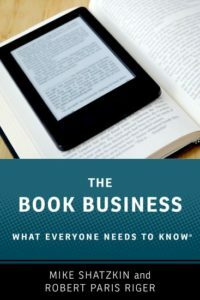 Launching the Kindle business was a big roll of the dice for Amazon in 2007 when there had been no empirical evidence that there would really be an ebook market. Once again, as with the deep discounting of print books for online sales in the 1990s, the heavy investment in building a customer base made more sense for a multi-product retailer whose stock price responded to customer base growth, regardless of revenue or profitability, than for a more conventional legacy retailer. Doing the integration among the three strands of their business — stores, dot com, and ebooks — should still be Barnes & Noble’s top priority. That’s their biggest lever. There potentially are others. Moving from a sale-and-return purchasing paradigm to consignment terms with publishers, which would also almost certainly require allowing vendor-managed inventory, would also really help their financials by removing a large capital requirement. But it would also require rewriting the rule book on buying and substantial changes to their systems. There is also a potential opportunity getting indie authors to pay the cost of putting printed-on-demand copies on the store shelves on consignment as well, with potential profit in the printing and sales as well as new positioning with the growing base of indie authors and their readers. The recent attention Walmart got for stocking one indie title tips to the potential PR and merchandising advantage of that tactic. The news comes this week that Perseus has engaged bankers to help them sell their company. This follows the collapse about a year ago of the sale of Perseus to Hachette with the simultaneous handoff of Perseus’s distribution business — many times the size of its publishing operation — to Ingram. There has never been any official or public explanation of what caused the Hachette deal to be called off a year ago. But the tricky part of selling this company is definitely that the distribution component will likely need a different home than the publishing assets. It will take a Big Five or other very large publisher to be able to absorb the publishing assets of Perseus. Those companies do distribution deals, but they seem to prefer much larger publishers for that service than many of the hundreds of Perseus distribution clients are. Ingram was the logical home for the distribution business because it has the ability to scale, has been developing the automation of its distribution service offering through Ingram Spark, and it already handles smaller clients routinely. If Perseus’s estimated $300 million in distribution business yields about $40 million in revenue (as we’ve seen in one estimate), that’s a pretty small business for one of the Big Five to take on as a separate operation. But the many small publishers wouldn’t necessarily combine very well with the current distribution activities of the big houses. So whichever big publisher might want the Perseus publishing operations (primarily Basic Books, Running Press, Da Capo, and the travel publisher Avalon) might well need an Ingram in the deal the same way Hachette did. It will almost certainly take a combination of two companies to swallow this particular elephant. Presumably the publishing components lean on some acquirer’s overhead, but the distribution piece would probably take a bit of a margin hit as a stand-alone. There are, presumably, some companies who might want to break into the publishing business with a fully operational scaled entity like Perseus distribution. So maybe a new entrant will be enabled by this opportunity. Of course, Ingram was interested the first time because they want to add clients to their existing distribution operation. Presumably, they still do. Perhaps they get back in this game again as somebody’s partner, like they did last time. But in the short run, it wouldn’t take a rocket scientist to tell Ingram that Perseus clients, knowing the company is on the block, might be receptive to switching and at least some of the growth Ingram sought might be attainable through salesmanship rather than through acquisition.